Celiac disease is an autoimmune disease that causes those affected to have an adverse reaction to gluten. When these individuals eat foods containing gluten, their bodies don’t allow proper absorption and damage to the small intestine can occur. Most commonly, symptoms of celiac disease are found in the gastrointestinal tract. 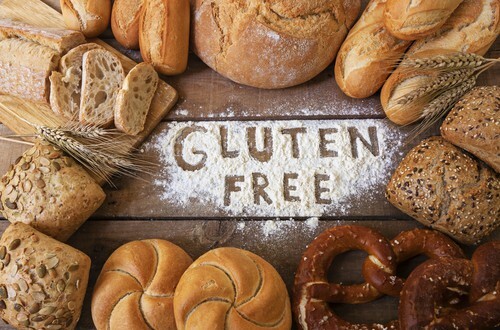 However, at our McLean dental office, we want to talk about some lesser known side effects of this disease and how ignoring gluten intolerance can damage your oral health. How Does Gluten Affect the Oral Health of People with Celiac Disease? Many of the oral health problems discussed can’t be reversed, so it’s important for gluten-sensitive people to avoid eating gluten. And like everyone, it’s important to brush and floss regularly. Additionally, there are times when celiac disease doesn’t show signs in the gastrointestinal tract, but rather in the mouth first. Keeping regularly scheduled appointments with your dentist in McLean can help diagnose a potential problem early. Does Gluten Have the Same Affect on Those Without Celiac Disease? It’s important to know that those with a diagnosed gluten intolerance, gluten sensitivity, or celiac disease are the main people affected by these negative oral health complications. The way their immune systems work does not allow gluten to be absorbed normally. If you’re concerned about gluten and are interested in exploring a gluten-free diet, please talk to your physician first. If your teeth have suffered enamel loss, are discolored, or you’ve been told they may fall out, whether because of celiac disease or not, you do have options. Schedule an appointment at our dental office in McLean to discuss restorative dentistry options or cosmetic dentistry treatments. Accepting patients from McLean, Arlington, Tysons Corner.